Travus is a full-fledged travel agency Joomla template for tourism organizations, travel operators, tour agencies, and other relevant businesses. From content showcasing, booking facilities to payments, it’s perfectly equipped with everything a travel site requires. 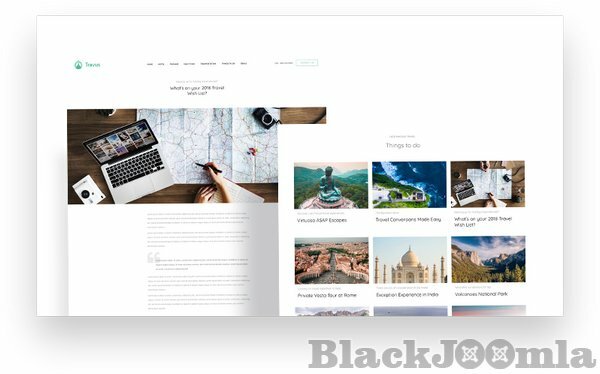 This Joomla hotel & travel template can also be used by individual travel agents, tourist guides, adventure traveler blogs, and all businesses related to the tourism industry. It offers a top-notch user experience to the site developers, admins, managers, and visitors. The Joomla tourism template QuickStart pack is bundled with our SP Booking extension, which means you can offer hotel reservation, transportation booking, combined packages, showcase travel facilities, and other related services. 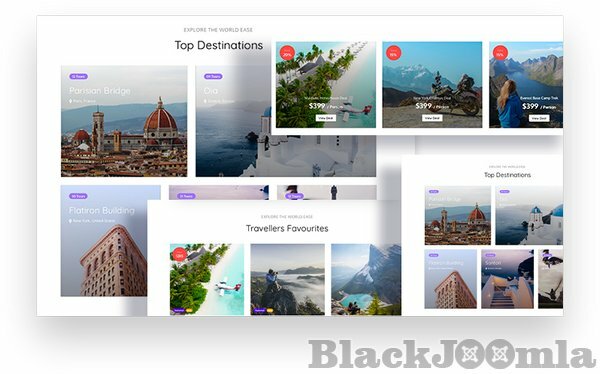 The Joomla travel template comes with SP Page Builder Pro inside (save $49) so you can create and edit web pages using its front-end drag-and-drop live editing system and powerful addons. Travus, the travel agency Joomla template is fully-responsive & mobile optimized. Also, you can control the device-specific responsiveness on the fly. With this package at your side, the world is full of freedom. Your Journey begins here. Want to create a complete travel agency or booking website on Joomla? Get Travus, a robust travel booking solution for any kind of travel agency, tour operator, car hire, hotel booking, villa rental, resort rental, cruise operators, transports & car booking, and all sorts of reservation websites. You can help people find their travel destination, transportations, hotels, show packages, and offers exciting deals to book reservations. 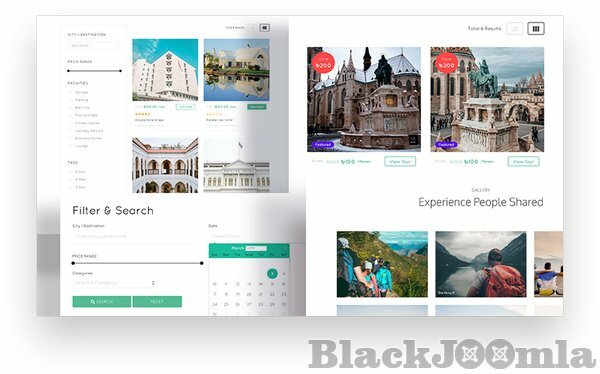 Travus Joomla travel booking template gives you all in one place. Having a closer look at the features of this Joomla travel booking template will give you more ideas. So, let’s begin. Let’s discover the details of the above mentioned features and functionalities inside Travus. Travus is the all-in-one tour and travel booking solution on Joomla. Anyone who wants to build a functional travel related website can get it done with this travel agency Joomla template. The travel agency Joomla template is fueled by our powerful SP Booking component which is loaded with tons of innovative features. Accommodation is one of the most important stuff in the tourism industry. This travel agency Joomla template comes with an advanced booking system to make hotel reservation effortless. Showcase each hotel individually on a single page with all amenities. Does your travel site offer tour packages to the potential customers? Cool! Travus gets you covered. The SP Booking component lets you add and showcase tour packages with multiple facilities inside. People travel for relaxation, right? Make it happen using the transportation booking feature in Travus thanks to the SP Booking extension inside this travel agency Joomla template. Let the potential tourists explore the travel attractions in advance. Offer a virtual tour to the destinations via photographs, videos, descriptions, reviews, and so on. Giving a discount is an amazing way to gain some quick sales and boost revenue. Travus, the travel agency Joomla template lets you offer discounts and deals on the travel/tourism facilities using SP Booking’s Coupons function. Every business has its own branding, ideology, and policy. To offer the developers the maximum customization flexibility, we’ve built 3 home variations for Travus. Default: The universal homepage design for any type of tour or travel business website. It displays everything a standard tourism industry site ever needs to cover. Destinations: This homepage layout focuses exclusively on tourist spots. 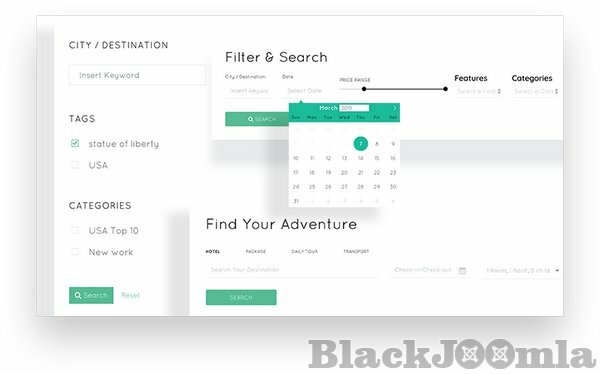 The hero section contains a search option to find a travel destination easily. Deals: Get this home variation if you want to build a deal-oriented travel site. It’s perfect for the agencies offering travel packages with discounts and deals. This travel agency Joomla template has an extraordinary searching mechanism that lets the visitors search and find their desired tour package, transportation facility, accommodation, and so on in a glimpse of an eye. 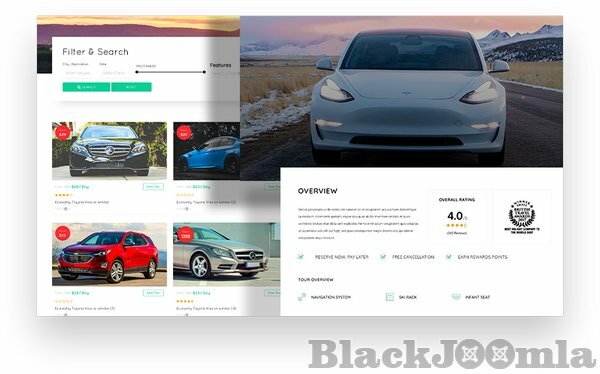 Service-wise search for transport, hotels, packages etc. Travus, the Joomla hotel & travel template utilizes a collection of special addons and modules to render the site contents in a professional way. Special Modules Travus is powered by some of the highly functional modules namely: SP Booking Package, SP Booking Destination, SP Booking Transports, SP Booking Accommodations, and SP Booking Search. 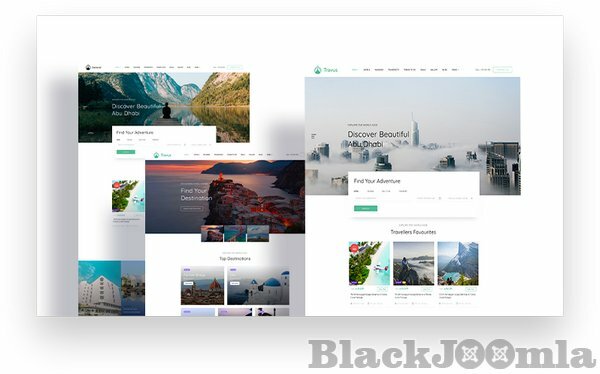 This Joomla tourism template is developed using SP Page Builder Pro and Helix Ultimate framework. You’ll enjoy its drag & drop website building experience with customizability to the core.